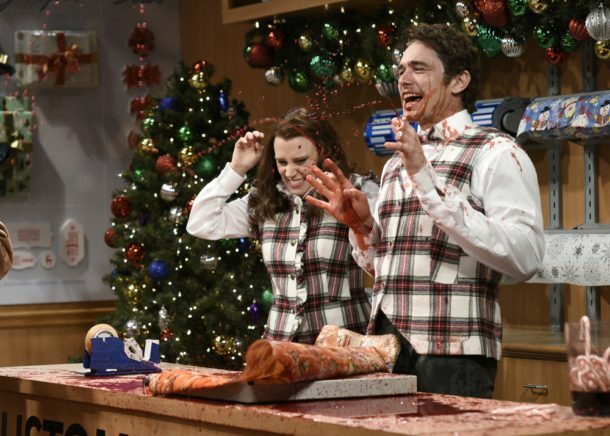 Check out some highlights from the this weekend’s episode of Saturday Night Live, hosted by James Franco and featuring musical guest SZA. The show also featured cameos from Steve Martin, Seth Rogen, Jonah Hill and Dave Franco. The show returns December 16 and will be hosted by Kevin Hart with musical guest Foo Fighters.